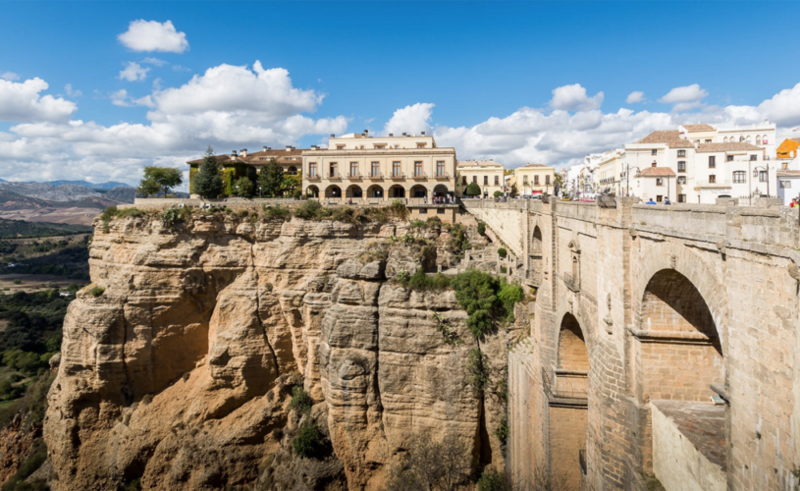 Why not try horse riding along the coastline of Cadiz or taste wine from grapes grown in the finest sun-kissed areas in Europe. 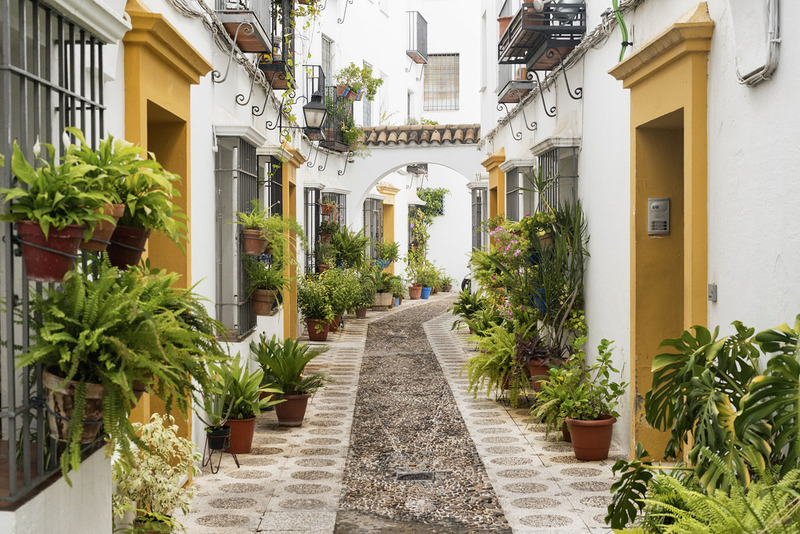 Enjoy breathtaking walks along sunlit Spanish streets with their amazing architecture, as your fingers glide along the cobblestone walls. 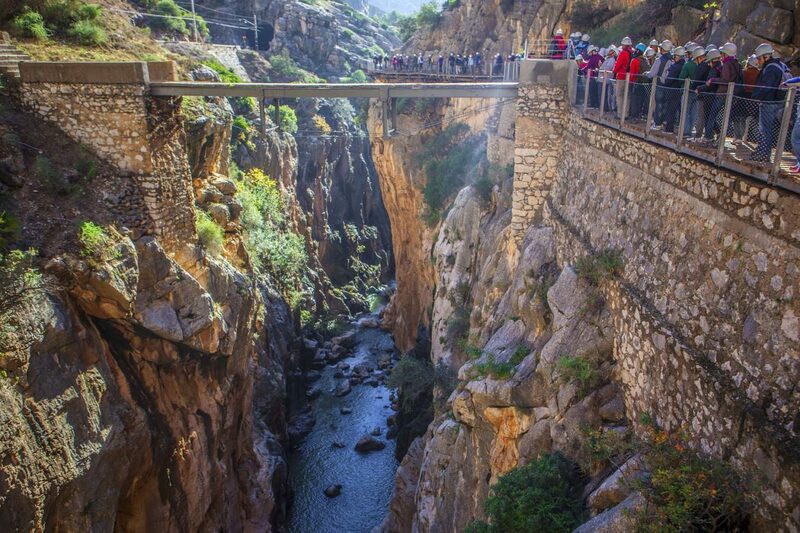 A day trip in Andalicia is unlike any other place on earth. 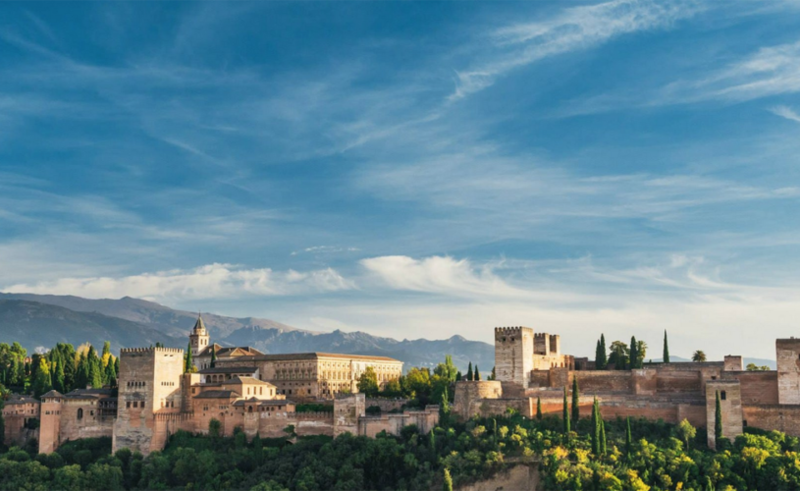 You'll come to understand southern Spain along with Andalucia's awesome natural wonders as well as discovering culinary thrills and an unmatched level of service as you explore one of the most fascinating regions on earth. Andalucia will surpass your assumptions! ..or just relax and unwind by the pool at Casa Cruz, just for another day or two. It's very tempting. 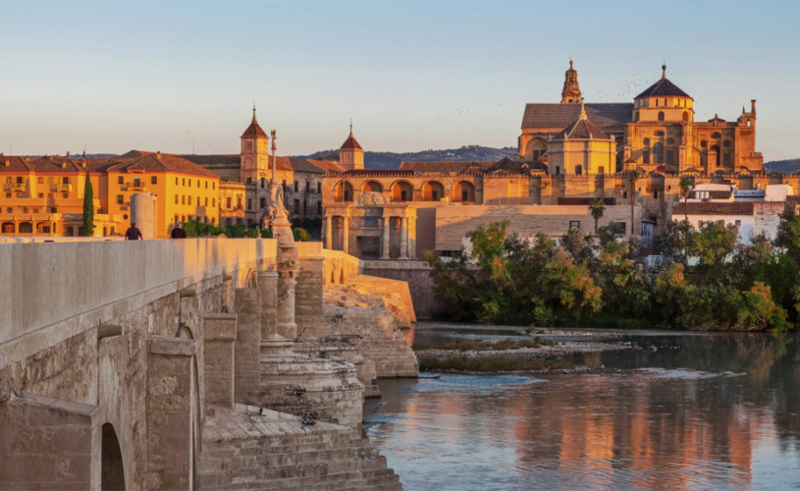 Cordoba was founded by the Romans and due to its strategic importance as the highest navigable point of the Guadalquivir River, it became a port city of great importance, used for shipping Spanish olive oil, wine and wheat back to Ancient Rome. The Romans built the mighty bridge crossing the river, now called “El Puente Romano”. But Cordoba’s hour of greatest glory was when it became the capital of the Moorish kingdom of El-Andalus, and when the city was reconquered by the Christians in 1236, the new rulers of the city were so awed by its beauty that they left it standing, building their cathedral in the midst of its rows of arches and columns, and creating the extraordinary church-mosque we see today. 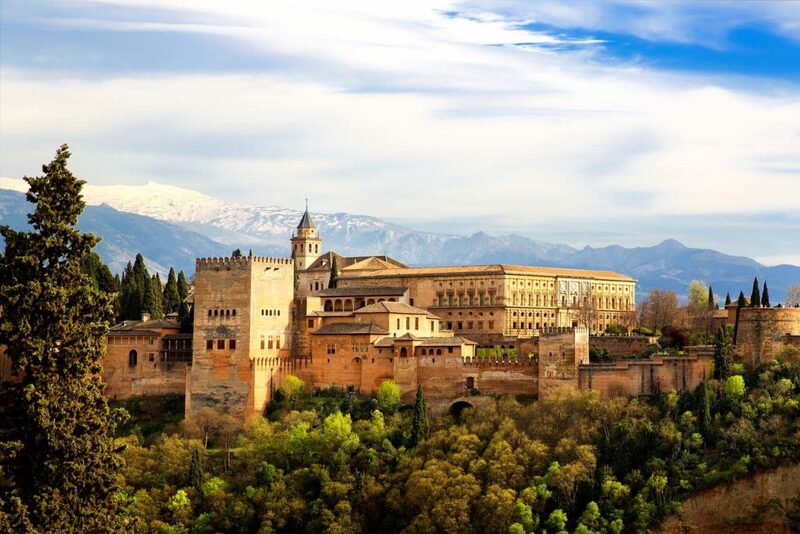 This was when work began on the Great Mosque, or “Mezquita”, which after several centuries of additions and enlargements became one of the largest in all of Islam. The countryside of Cordoba province is extremely varied, from rolling plains around Cordoba City, the Guadalquivir basin and south to Seville province, to forbidding mountain ranges with jagged peaks in the north and west. Dotted around the province are many pristine whitewashed villages with Baroque churches, Moorish castles and flower-festooned courtyards.Â Its a region famous for both its dry white wines, similar to sherry but fruitier and produced mainly from the Pedro Ximenez grape, and olive oil; vineyards and olive groves being a characteristic feature of the landscape, especially south of Cordoba. Granada, Andalucia, Spain - Typical restaurants and shops in a street of the popular old Moorish quarter Albaicin -the historical center of Granada Town. 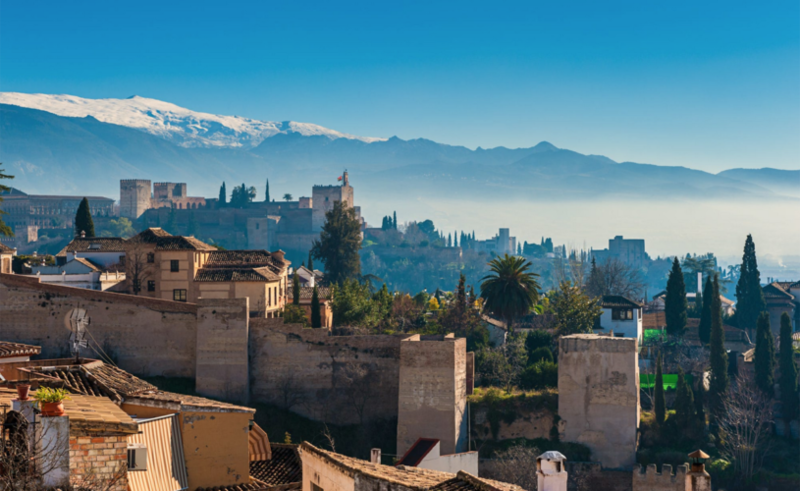 Less well known than its more popular neighbour, the Costa del Sol is Granada’s coastline with its subtropical climate. Its beach resorts still retain a Spanish character and it boasts some spectacular cliffs, interspersed with secluded coves and sandy beaches, particularly in the protected coastal zone of Acantilados de Maro-Cerro Gordo Natural Area, which it shares with Malaga province. Almunecar is the resort of the Costa Tropical with it's very attractive beaches. The rocky outcrops that divide the beaches have been designated a protected area, the Penones de San Cristobal Natural Monument. Near Almunecar is La Herradura, a popular watersports resort set in a secluded bay. 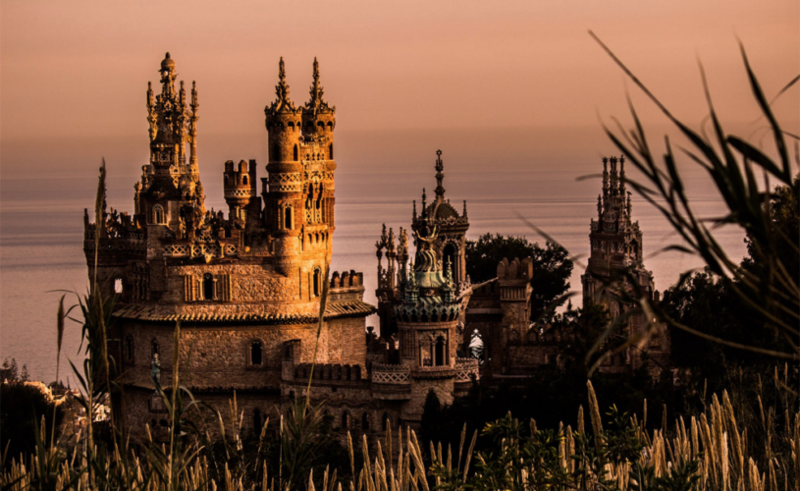 The coastal town enjoying the most spectacular location is Salobrena, with a Moorish castle and the town’s whitewashed houses atop an imposing pinnacle protruding above sugar cane plantations and overlooking the sea. 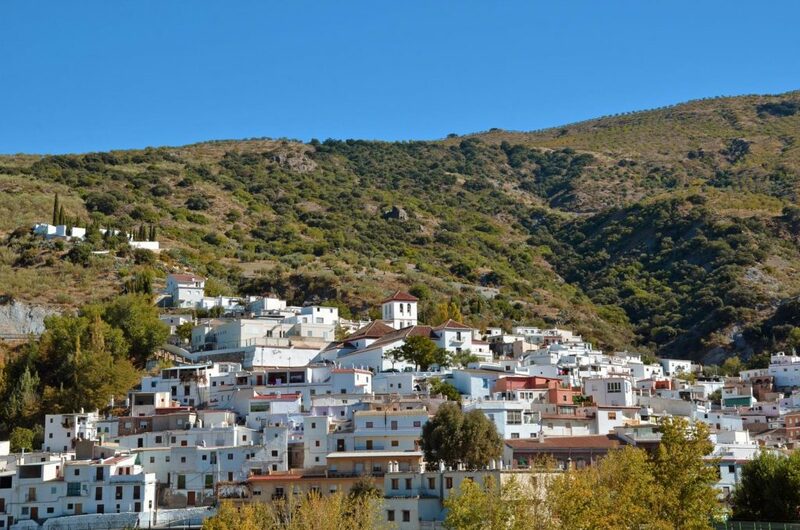 And in the foothills are the Alpujarras, a region of beautiful whitewashed villages, with distinctive Berber architecture, set in attractive valleys and terraced fields. 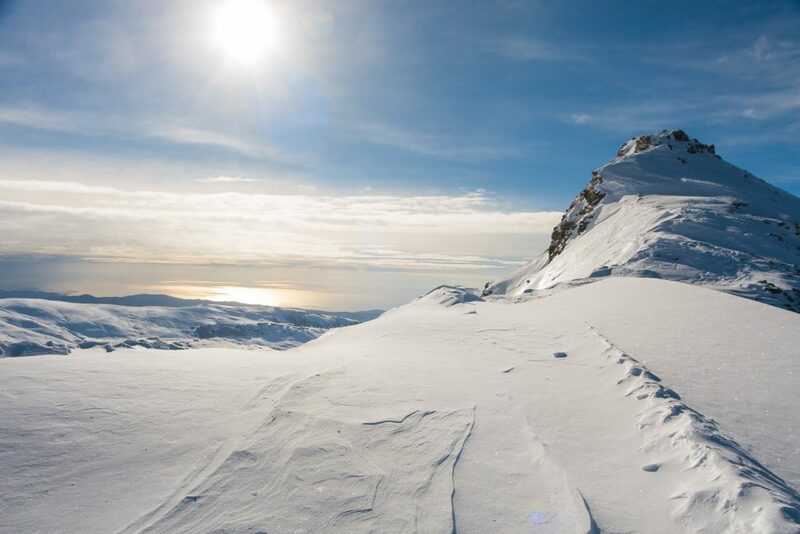 It’s excellent hiking territory if you're feeling energetic. 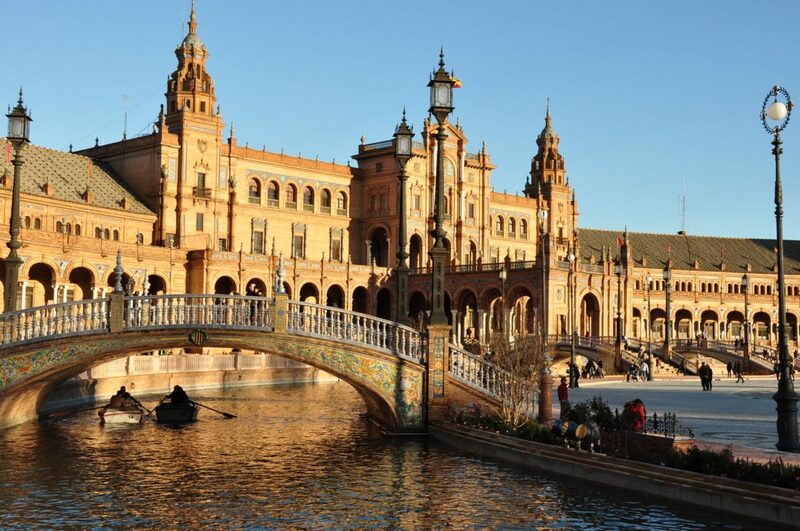 Seville is the capital city of Andalucia and its administrative centre. 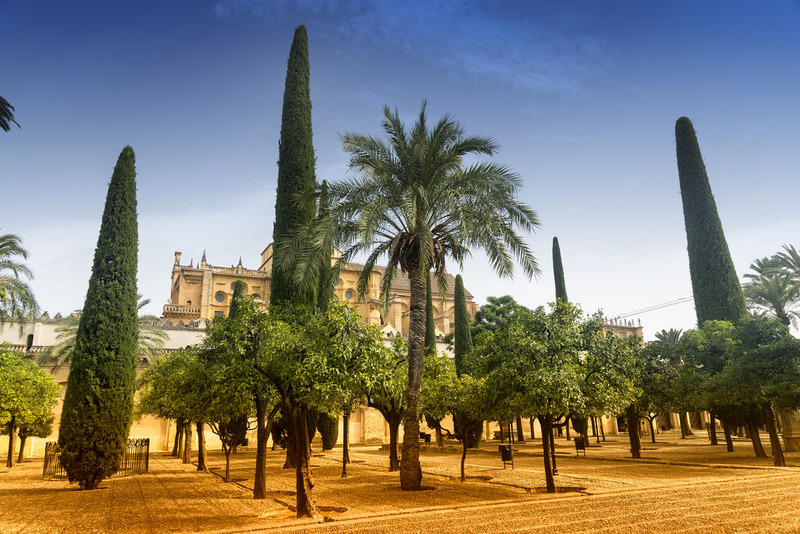 In Seville is Europe’s largest historic quarter, so it’s crammed with magnificent churches, convents, monuments and Moorish buildings. 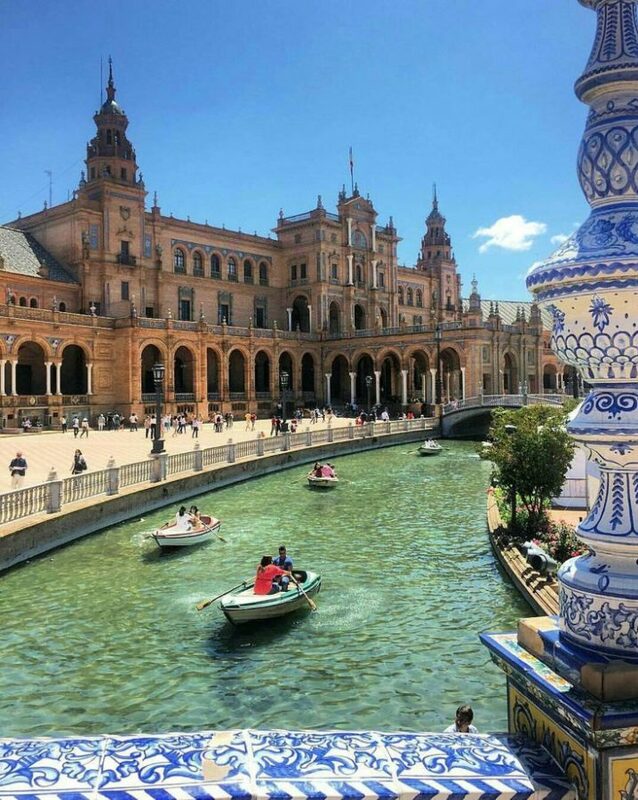 It’s also renowned for its multitude of tapas bars and a buzzing nightlife; in summer, evening is the best time to stroll through the winding streets and pretty squares, to escape the fierce, unrelenting heat of the day. Malaga is best known for its string of popular resorts along the Costa del Sol and although these have their own attractions, the province has much more to offer, including a vibrant provincial capital with a fascinating history, a section of the Costa del Sol east of Malaga city that is not as developed the western section and rugged mountain ranges like the Serrania de Ronda and the Sierra de Tejeda. 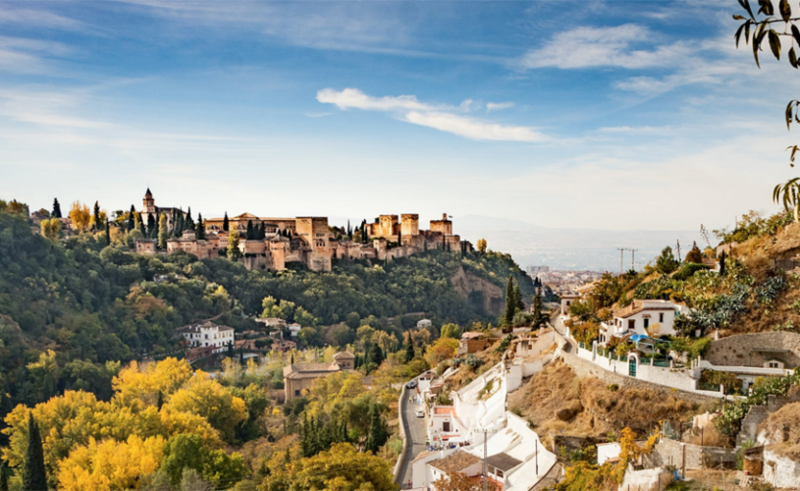 Many visitors to Andalucia head directly to the Costa del Sol directly from the airport, 6km west of Malaga city, missing the myriad delights of the provincial capital. 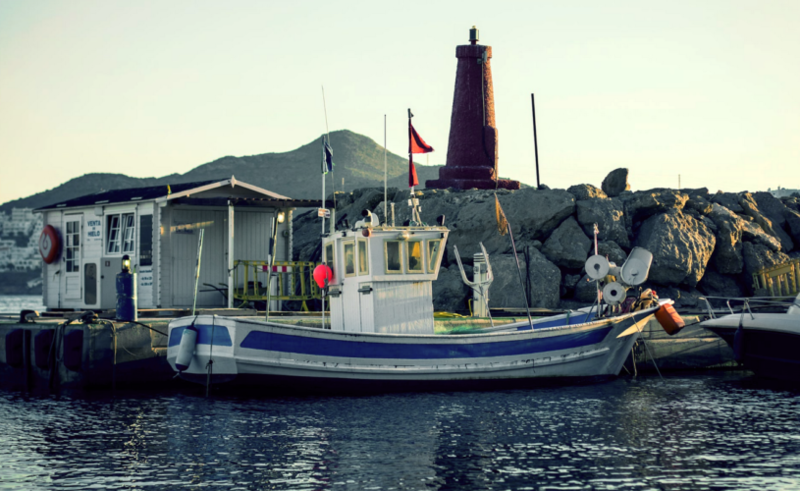 There is a charming historical quarter, interesting museums, bustling shopping streets packed with great shops, a buzzing nightlife and city beaches lined with excellent seafood restaurants. 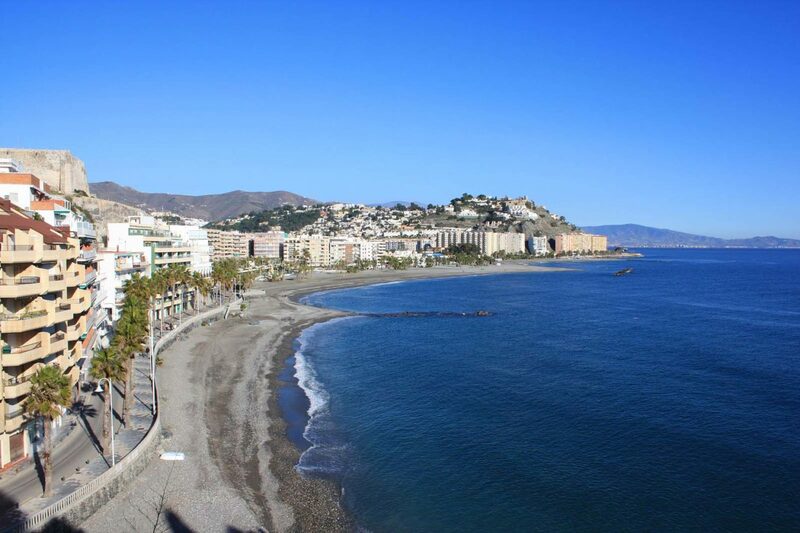 The Costa del Sol is the most developed and densely populated coastal strip in Andalucia, packed with resorts such as Fuengirola and Benalmadena, which have busy beaches and high-rise apartments. 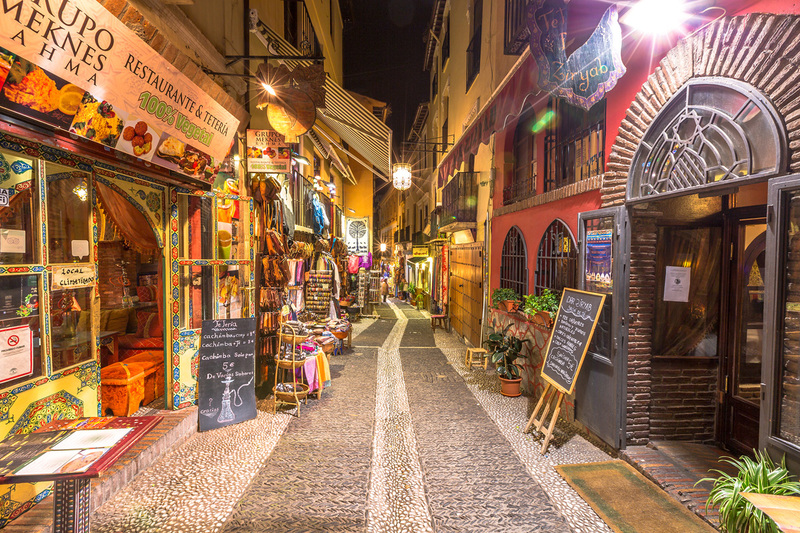 But each place still has its own unique appeal, such as the beautiful old quarter in Marbella and its swish restaurants, good for a bit of celebrity spotting if you are lucky, an attractive long expanse of beach in Estepona and, if you are after a lively nightlife, Torremolinos. If you want a rural quick-fix away from the Costa, head north of Marbella to Sierra Blanca, to the pretty villages of Ojen and Monda. Just north of Fuengirola are Mijas, Alhaurin el Grande and Coin. 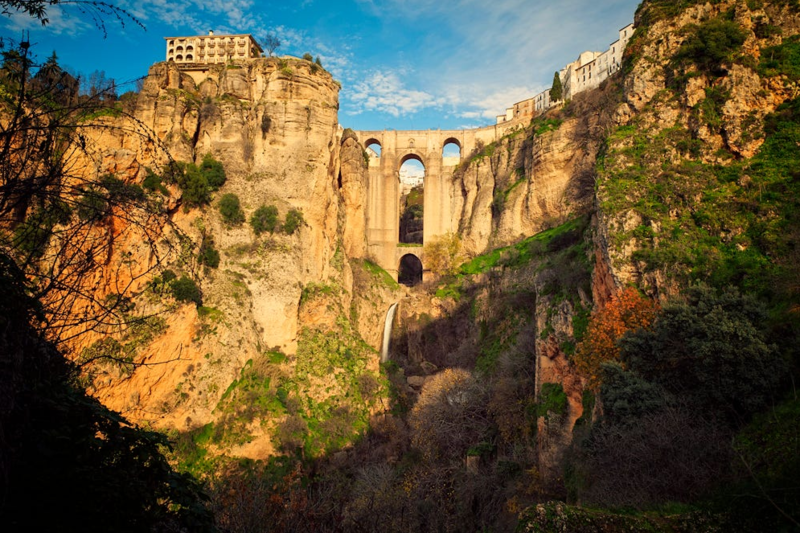 The Costa del Sol also includes the less spoilt coastline east of Malaga, with the resorts of Rincon de la Victoria, Torre del Mar and Nerja, the latter offering a delightful promenade and a famous cave, the Cueva de Nerja. Just east of Nerja is a small but beautiful stretch of coastline, the most spectacular in Malaga province, which is protected. The Acantilados de Maro-Cerro Gordo Natural Area are magnificent cliffs with secluded coves and sandy beaches covering part of the shore between Malaga province and La Herradura in Granada province. The drive along the coastal road gets increasingly dramatic as you head east from Malaga city, because the mountains of the Axarquia to the north meet the Mediterranean at this point, plunging directly into the sea in steep, rocky cliffs. Panorama cityscape aerial view of Malaga, Spain. Plaza de Toros de Ronda bullring in Malaga, Spain.